Shopping cart abandonment issues have continued to plague the e-commerce industry. Online stores consistently struggle with it. 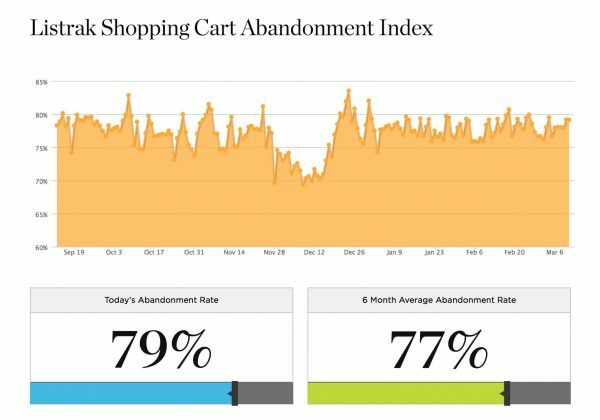 Listrak tracks shopping cart abandonment rate and as of today its close to 79%, which is HUGE. 12 things you can do to reduce shopping cart abandonment. 1, Establish & Build trust in your transaction forms. 2, Include progress indicator on checkout pages. Losing a customer is painful but there are multiple things you can do to bring them back to your site. If you are using multi-step checkout process, check your analytics to see at which step did the customer abandon your shopping cart. Once you understand where you have lost them, create an automated targeted email that reaches out to the client and provides more information depending on where you lost them. eg: if customer abandoned at the step that shows shipping information, send them an email that offers reduced or free shipping. eg: if customer abandoned at the step that shows link about the return policy, you can send them information that showcases return policy in 1-2 sentences rather than the full paragraph. Once you have identified where you lost them, you should send series of up to 3 emails at various time intervals. And with each email, refer to the previous email and always show clients order information with product images and customer reviews. If after 3rd email, the client does not return, then they probably won’t. At that moment, it’s good to move on. This is a more advanced option but you can use ad retargeting for clients who have abandoned your shopping cart. There are services like AdRoll, Meteora, Vizury etc you can use. I have personally used AdRoll and results have been great. These platforms will enable to set your ads so that they target customers who have abandoned your shopping cart and bring them back. 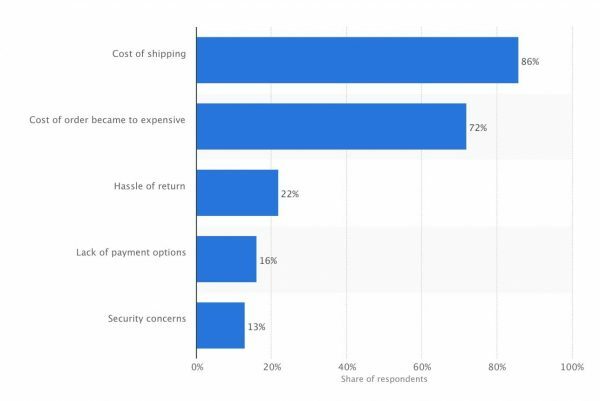 You can set up ads that offer Free Shipping or Discounted offers based on what caused clients to abandon in the first place. I have implemented OptinMonster for various clients to give an offer to customers who are exiting the shopping cart. It tracks mouse movement and shows a pop-up when the customer is ready to abandon the checkout page. You can customize the pop-up to show offers like Free Shipping, Time sensitive coupons etc. This is extremely helpful and can keep customers on your site. There could be multiple reasons why your customers would abandon your shopping cart. You should work with your marketing and analytics team to figure out main reasons and then optimize your site accordingly. Don’t leave money on the table, it’s a lot cheaper to get existing customer back than it is to acquire a new customer. Using pop ups is interesting. I am going to try that. Can I add pop up so it only shows when customer is abandoning my shopping cart?